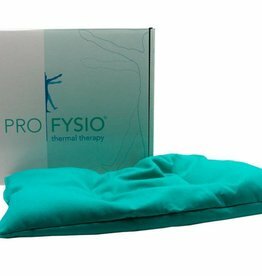 Introducing the proFysio pillow and its therapeutic properties. 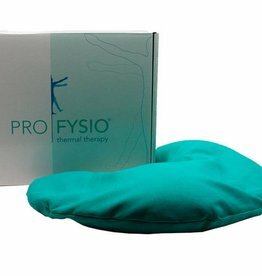 The proFysio pillow shapes itself well to your neck, shoulders, back, head, feet and stomach. The pillow is filled with cherry stones, which retain heat longer, or flax seed, which gives it a softer feel. 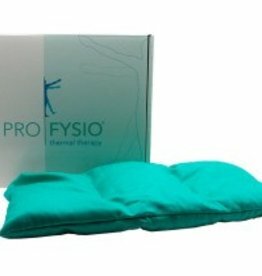 The warmth transferred to the body can relieve pain, making the proFysio ideal for muscular aches and pains. The pillow is primarily used in physical therapy and osteopathy, in massage centres, nurseries, retirement homes, rehabilitation centres and hospitals. Thanks to its easy application, patients or clients can continue the treatment at home. 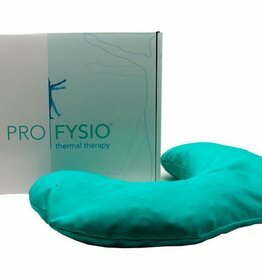 Fact: proFysio is also suitable for use as a cold compress and relieves injuries such as extravasations, bruises, sprains and inflammations. Tip: Place the pillow for hygienic reasons, not directly on the skin, but wrap it first in a towel.